Moobaan Navatanee (Navatanee Residence) is the first luxurious executive community on Kaset-Nawamin Serithai area, in total land area of 1,300 Rais combined with 400 Rais of golf course. A beautiful garden and shady house on 120 sq.w. 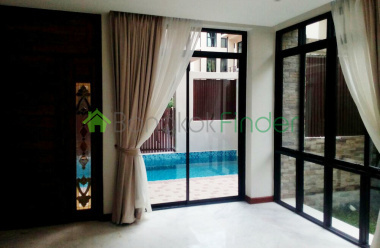 features 3 bedroom, usable area of over 300 sq.m., 2 storey, 4-5 parking car. Fully furnished and functional kitchen plus maid's quarter. Quant and Modern 3 Bedroom Duplex HomeThis is a charmer and has some nice little get-a-way nooks to relax and read in. Downstairs is designed with living room/dining room, kitchen, bedroom and bath. Upstairs is setup as 2 bedrooms, shared large bath, and a comfortable living room. 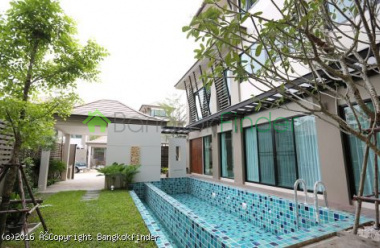 Luxury Modern House in Secured Compound with Private Swimming PoolSerenity in the Midst of Bustling BangkokEnjoy luxury, space, and modern convenience in this beautiful multi-level home located directly in the prom pong District. 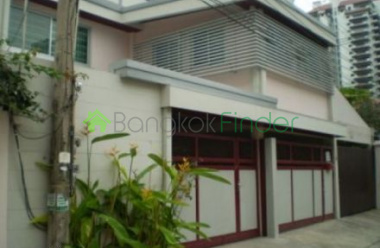 Nice House for rent Bangna-Trad Area Consisting of 3 bedrooms modern house for rent with functional kitchen, 123 sq.w. land area proper private garden in secured compound. Superb facilities plus 24-hour security. 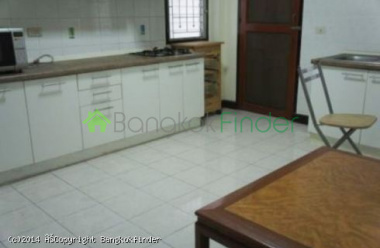 Conveniently located close to Shopping complex, hospital, many grocery stores on Bangna-Trad Road. Unfurnished condition. 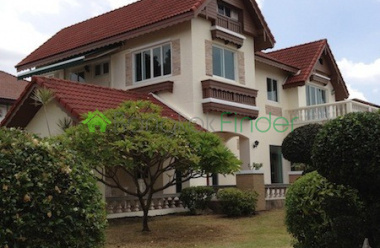 Large House with Garden in Compound on Pattanakarn Road4 Bedrooms, 1 Study Room 6 baths, 2 Kitchens; Thai and Western Style , Maid's Quarters, Dining AreaFully furnished including complete kitchen equipment, water cooler, dish washing machine, clothes washer and dryer.In close proximity to expressway and just 15 mins to Sukhumvit road, and 15 mins to Bangkok Pattana School. Very Big House, built-in closets , unfurnished. 5 Minute Drive to St. Andrew Schools & Acadia Art School.Between Prakanong & Ekamai BTS stations. 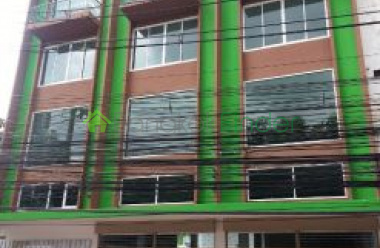 4 Storey Shop House In Sukhumvit 740 sqm A perfect space in a perfect location for an office or a business, this 4-storey shop house is conveniently situated at the busy soi of Sukhumvit. All floors are tiled and ready to be designed per your preference. Numerous residential, school, and business facilities are around this shop house giving you a great variety of market for your business. 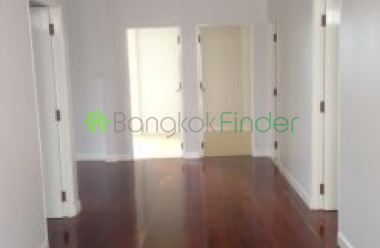 3 Bedroom House In Phrom Phong For Rent 515 sqm This three bedroom and two bathroom house with an old English interior comes fully furnished, with a beautiful garden and at a very competitive price. It is conveniently situated at the cosmopolitan area of Phrom Phong giving you access to what the city has to offer. 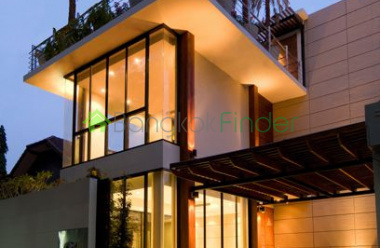 Three Storey Luxury House In Phetburi For Rent 836 sqm Live luxuriously in this three storey house with a modern oriental interior that's located in the more residential part of the cosmopolitan soi Phetburi. It has six bedrooms, six bathrooms, a spacious and elegant living area, a beautiful indoor swimming pool and greeneries. 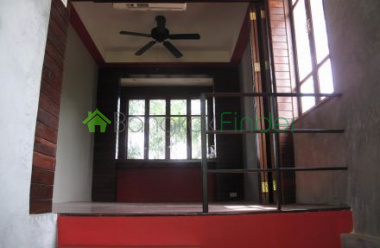 Two Storey Town House In Sukhumvit For Rent 3 Beds This two storey town house with three bedrooms and three bathrooms is currently available for rent at a very competitive price. It has a beautiful garden and is located at the more residential part of the cosmopolitan soi of Sukhumvit. Spacious 3 Bedroom House With Large Balcony 420 sqm This spacious three bedroom and three bathroom house with a large balcony is conveniently situated at the cosmopolitan area of soi Sukhumvit. It has a fantastic swimming pool where you can do some laps to stay fit or just enjoy the water with your kids. 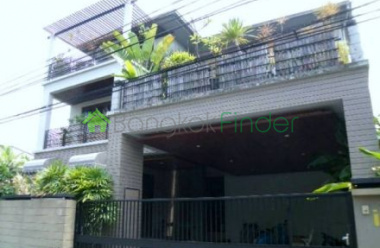 Spacious 2 Story House in Thonglor For RentThis spacious two-story house has four bedrooms, five bathrooms, a balcony, a swimming pool and a beautiful garden - guaranteed to provide you comfort, relaxation and privacy amidst the urbanity of downtown Sukhumvit. Large Contemporary House for Rent Mo Chit 4 Bed 350 sqm This spacious contemporary house situated at the cosmopotilan soi of Viphavadee comes fully furnished with four bedrooms and four bathrooms. 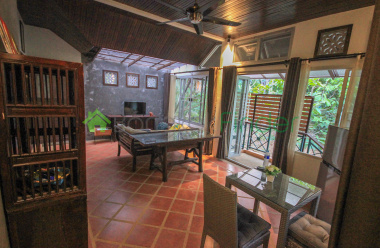 It also has two well-lit living area overlooking a great garden view. 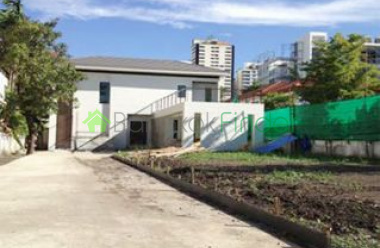 2 Bedroom 208 sqm House for Rent RatchadaA rarity indeed, a single house in the very desirable and fashionable Ratchada district, a dynamic areas with lots going and great facilities on tap. Supermarkets, shopping, entertainment, school and hospitals all within easy reach. You are in a great compound with a fine sense of community and security for you and the kids who are free to play. 3 bed 300 sqm Nana BTS City Centre This is a huge home in an elegant house built to the highest standards and offering peace and tranquillity for the family yet at the very heart of things in this exciting capital. You have ease of access to schools, hospitals, kindergartens, restaurants and nightlife and this is from one of the quietest residential streets off Sukhumvit. 3 bedrooms 350 sqm Ploenchit house A rarity indeed, a fantastic house at the heart of the classy residential district of Ploenchit and of the Central Business District, a spacious residence covering 110 wah or 2,350 square metres in total with three bedrooms, four bathrooms, a big balcony, a quiet, restful ambience, a spacious yard, and a private pool with a jacuzzi. 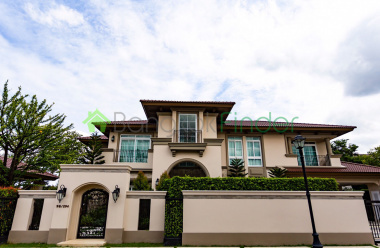 3 bedroom Townhouse for Rent AsokeAt the very heart of the city and within easy reach of the BTS and the MRT, this is a very cool family home offering loads of space and room to move, as well as privacy and safety in a very well policed neighborhood. 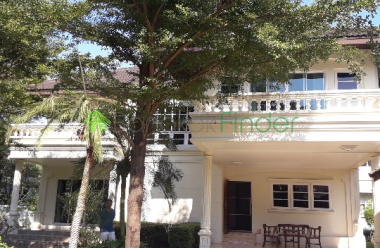 Stunning villa with a good sized private pool and garden in this very exclusive compound popular with expats on Soi Pattanakarn 30. There are 4 ensuite bedrooms with a maid's room and own seperate bathroom. Comes unfurnished but furniture can be discussed.